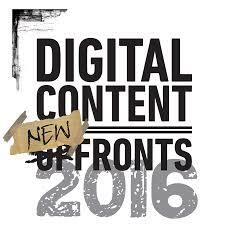 In New York City, the 2016 DigitalNewFronts presentation has been ongoing since May 2. Creators of online content like BuzzFeed, YouTube, Hulu, VICE and others have been revealing their plans for the upcoming year. Here’s a look at some of the biggest announcements so far. Making quite the splash, National Geographic told attendees that it would developing 10 short-form video digital series, a VR platform (“NG VR Studio”), and an Instagram video series. The company is the largest media firm on Instagram, with over 49 million followers. NatGeo also stressed their decades of experience. “What makes National Geographic stand out in a crowded digital media space? World-class storytelling backed by 128 years of science and exploration — and a strong sense of purpose,” declared Declan Moore, CEO of NGP. Internet media company BuzzFeed trotted out news that it has been receiving 7 billion views a month on its content. Referencing its widely-shared watermelon video, the executives emphasized that they were available for sponsors to jump on board and form strategic partnerships. “[The watermelon video viewership] is really exciting to me, because it's the first time we've had a number that's comparable to TV," said BuzzFeed CEO Jonah Peretti. Additionally, the company provided a slate of scripted and unscripted programming. Time has unveiled a free, ad-supported OTT service: the People/Entertainment Weekly Network. The streaming platform will offer series, specials and live-events from a pop culture/celebrity point-of-view, and it will launch later this autumn. “These programming and technology initiatives underscore Time Inc.’s strategy to create premium video content in all formats to be distributed across traditional channels as well as new platforms that are redefining media consumption,” said an official statement from Time. Time also revealed a VR product. “For our People and Entertainment Weekly brands, which are showing strong momentum in video, we think there’s a unique opportunity to go direct-to-consumer with a lean-back, long-form viewing experience,” added Rich Battista, president of the Time Inc. Entertainment and Sports Group and Video. Hulu announced a cable-inspired streaming service, set to debut in 2017. However, not to be outdone, YouTube also announced a paid SVOD service, which will feature cable channels as well. Time Warner Cable, somewhat of an interloper at the NewFronts, vociferously challenged YouTube and other OTT services. "The choice today is not a matter of TV versus digital. Cable TV is digital," said Fred Bucher, head marketer at Time Warner Cable Media. The traditional TV Upfronts will be occurring later this month, and it will be intriguing to see how the broadcasters respond to these digital efforts and compete to keep viewers.